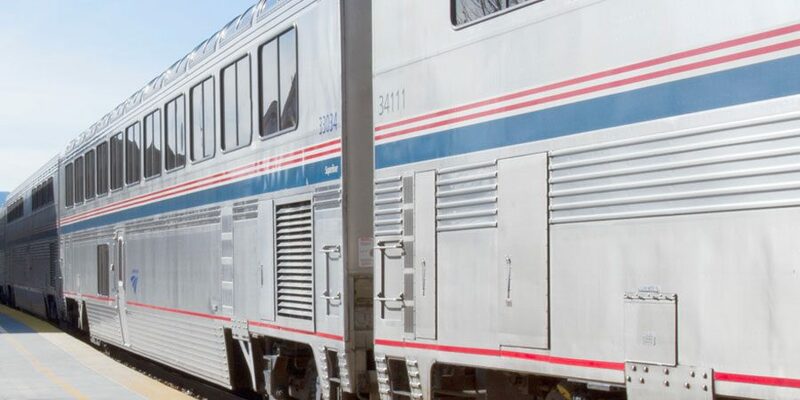 Located on the lower level, Superliner Family Bedrooms are furnished with two adult-sized and two child-sized beds. The Family Bedroom spans the entire width of the car and features two large windows. The sofa and two seats convert to lower beds and the two upper beds fold down from above. Restrooms and showers are nearby in same car. 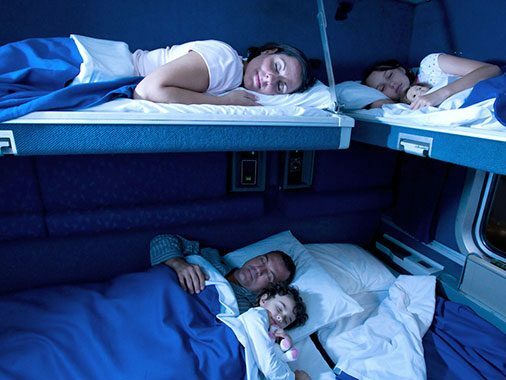 Lower Berth 3'4" x 6'3"
Upper Berth 2'4" x 6'2"
Lower Berth 2'3" x 4'9"
Upper Berth 2'0" x 4'7"
Specific rooms may not be reserved online, so rooms are automatically assigned when your reservation is completed. Your ticket will show your exact car and room number.